A fully-fledged, ISO9001:2015 certified engineering workshop that carries out a wide range of fabrication works enables Reliant Installations to provide its customers with extensive engineering support. We will undertake all facets of general fabrication work from simple beams to steel portal frame buildings. 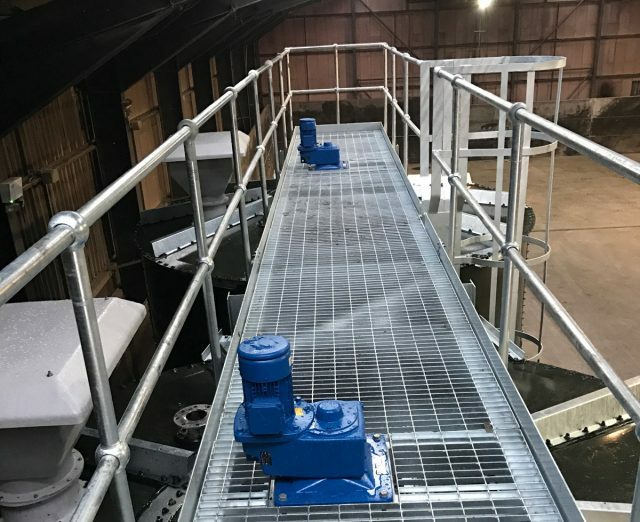 We can design, detail, fabricate and install any access steelwork required as part of a tank installation project, and this may range from simple access ladders to structures supporting rotary screw presses or screens. We can also manufacture and install tank flanges for the connection of pipework or telemetry to the tank. Standard connections are usually radial in nature, have an off-stand of 150mm and are drilled to PN16. All flanges are specifically manufactured for each project and are usually galvanised mild steel, but epoxy coated, DWI epoxy coated and stainless steel are also available. 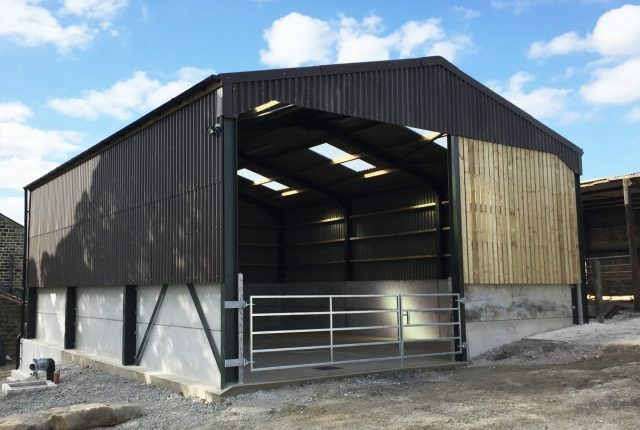 Reliant Installations has its own engineering and fabrication workshop which enables the company to manufacture steel portal frame buildings for all kinds of specialist applications for the agricultural and industrial markets. 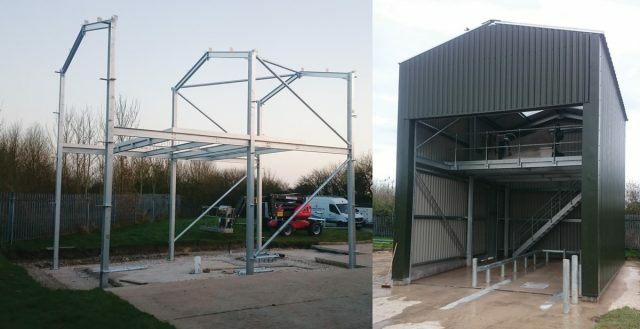 Our objective is to provide the service our clients require, whether it be fabrication only for others to erect, or fabrication and installation on site. We combine versatility and value to provide steel portal frame buildings to clients exacting requirements. As a complementary service to supplying slurry stores, our fabrication team are skilled in the design and manufacture of all agricultural ancillary items including flanges, cattle grids, spill pit and slurry channel grids, filling pipes and tanker draw-off’s.